Simi has joined Vision with 20 years experience in the Financial Planning sector. The previous 6 years were at HSBC where worked with high net worth individuals with a view to both preserving and growing their wealth. Prior to that she graduated as a Civil Engineer at City University. 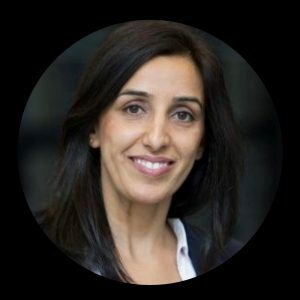 Simi is highly qualified and an experienced Chartered Financial Planner, she thrives on constantly expanding her knowledge as this allows her to provide high quality financial solutions for her clients. Currently she is working towards becoming a Fellow of the Personal Financial Society. Simi chose to work with Vision, as the firm’s values are directly aligned to her own, which is placing the client at the heart of all decision making. She believes very strongly about building long term and lasting relationships with her clients and the foundation to this is built on trust and doing what is right for them every time. In partnership with Vision, Simi can continue to help her clients by understanding their individual needs and provide them with the most suitable advice based on an unrestricted and independent advice model. Outside of work, Simi lives in North London with her daughters, Eesha and Ria. Weekends are spent usually working on DIY projects or socialising with her friends and family.